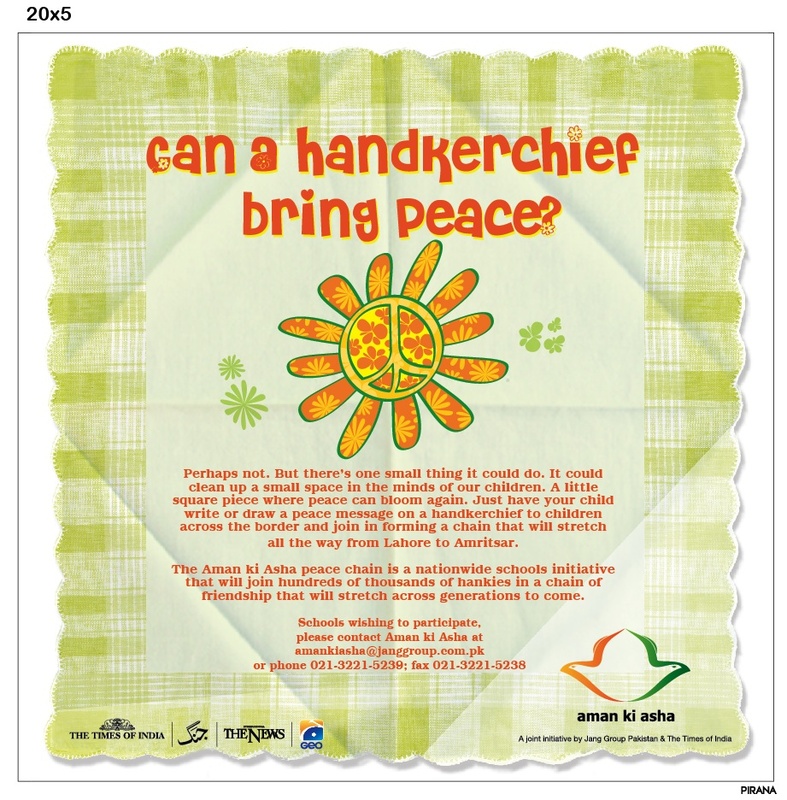 CAN A HANDKERCHIEF BRING PEACE? Perhaps not. But there’s one small thing it could do. It could clean up a small space in the minds of our children. A little square piece where peace can bloom again. Just have your child write or draw a peace message on a handkerchief to children across the border and join in forming a chain that will stretch all the way from Lahore to Amritsar. The Aman ki Asha peace chain is a nationwide schools initiative that will join hundreds of thousands of hankies in a chain of friendship that will stretch across generations to come.